When you’ve had your pool deck for a few years, there comes a time when you’ll want to give it a facelift. While you want to give it a fresh look, you also don’t want to break the bank. If you’ve done your homework you know there are updates that will cost you a lot of money. But there are also others that won’t, while still giving you that new look. Many professionals will tell you that fall is a great time to do any updates. Your pool is likely getting less use which means you won’t be missing out on using it as you would during the summer. 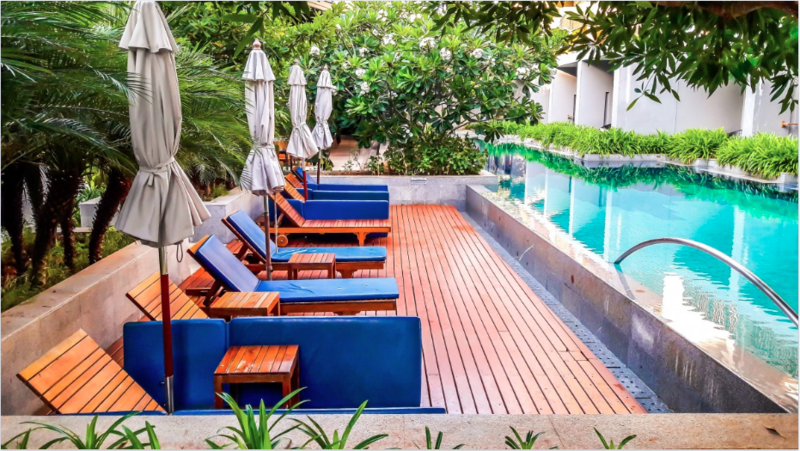 Let’s take a look at three cheap ways to update your pool deck. 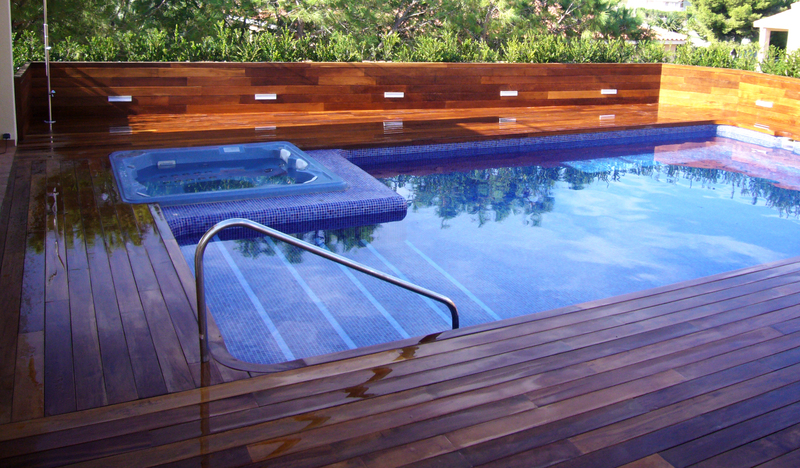 A new coat of paint or stain can make anything look new, including your pool deck. There is a variety of pool paints and stains to choose from depending on the color and texture of your deck. If your deck is not that large you can transform the look for under $200 in just one afternoon. Lighting can enhance the look of your deck while making it more functional at night. How many times have you called everyone in because it was getting dark out? 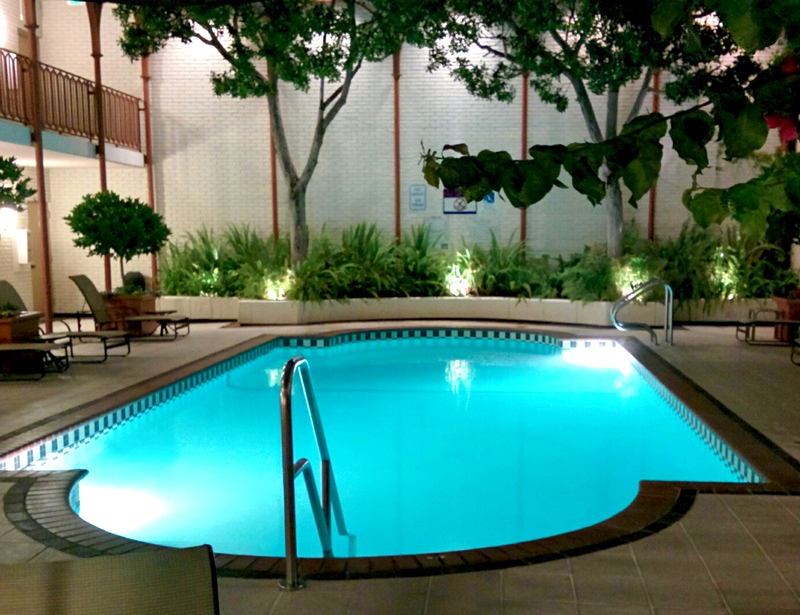 When you add lights on your deck around the pool you’ll be able to enjoy those night swims more frequently. The price tag for this project will vary depending on the type and amount of lights you install. 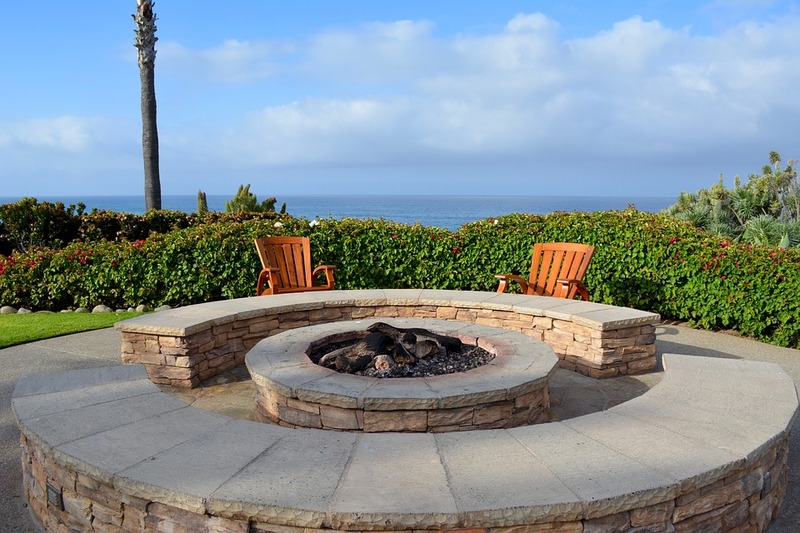 A firepit on the deck is a great addition if you entertain outdoors. People often sit around it at night to socialize. It’s also great if you like to make smores! Besides being totally functional, it also gives your deck an enhanced look. Buy a couple of nice patio chairs to go around it and you’re ready for a party! You may be able to buy a firepit for under $100 at many stores. If you choose a fancier version and get one professionally installed it may run you $500. As you’re considering upgrades, don’t forget safety. One important upgrade around your pool is a pool fence. It’s an addition that’s always in style! To learn more about installing a pool fence at your home contact Protect-A-Child Pool Fence at 1-800-992-2206.